Hapag-Lloyd’s Europa is often cited as the world’s highest-ranked luxury cruise ship. Hamburg-based Hapag-Lloyd operates five ships, including its flagship Europa, often cited as the world’s highest-ranked luxury cruise ship, and the newer Europa 2. In addition, Hapag-Lloyd operates the Hanseatic, Bremen and Columbus 2. I’ve cruised both Europa and Europa 2. Both ships represent the highest standards in luxury cruising. For North Americans and English-speaking travelers, Europa 2 is likely to be the better choice due to itineraries spanning as few as seven days and a casual on-board ambience that will appeal to many travelers. 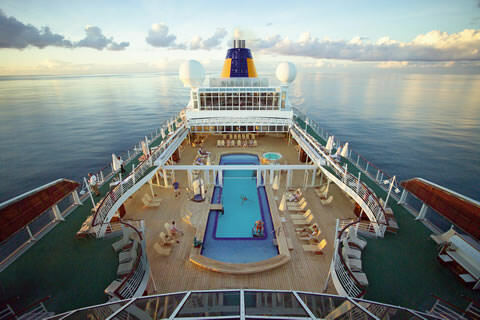 The itineraries can be combined with no repeating ports for those who want to do longer cruises on Europa 2. Families are welcomed on Europa 2, and kids have plenty of quality care to keep them busy and happy on their voyages. The older Europa has a stronger German — and formal — ambience than Europa 2, as well as guests who may have less tolerance for children than do guests on Europa 2, many of whom travel on this vessel with their families. Both ships command among the industry’s highest per diems (as much as 600 euros per person — about $1,600 per day per couple). Alcohol, soft drinks, bottled water and more are not included in the fare, unlike on all other luxury cruise lines. Hapag-Lloyd’s luxury vessels are pricey products, right up there with barge cruises (which can run as much as $2,000 per day per couple – read more about barge cruises on French Country Waterways and European Waterways). I’ve not cruised Hapag-Lloyd’s expedition vessels, the Hanseatic and Bremen, or the premium ship, Columbus 2, which ceases service for Hapag-Lloyd in April 2014. I enjoyed the attractiveness of both vessels but especially of Europa 2. It is, along with Seabourn’s Sojourn-class ships, one of the most beautiful vessels afloat and with a higher space-ratio than any other cruise ship. The Grand Suite on Europa 2. 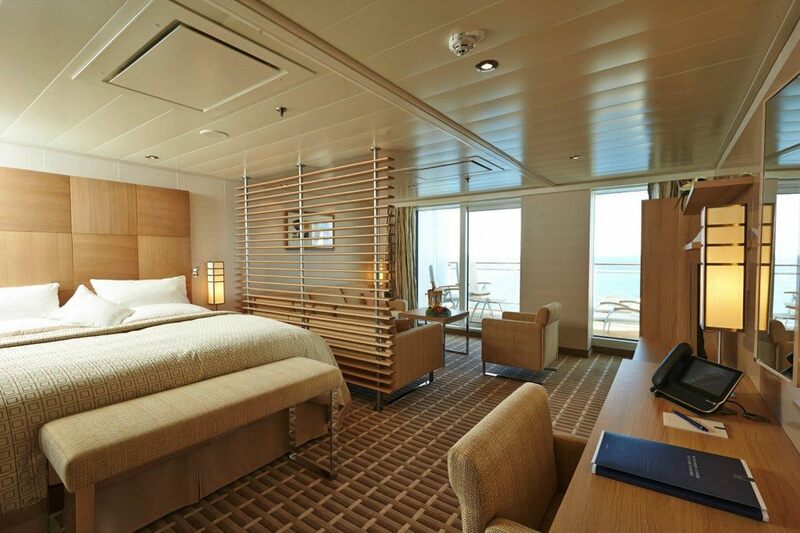 Staterooms, which Hapag-Lloyd calls suites, are spacious, well-thought out, functional and gorgeous. The use of light woods, attractive fabrics, stylish furniture and thoughtful lighting makes for a pleasant living space. The large balcony with comfortable lounge chairs add to the joy of cruising on Europa 2. Europa 2 features six restaurants, all without surcharges (unlike a few other luxury lines). Europeans staff the dining rooms (with few exceptions) and most public rooms. Service standards are impeccable. The spa and fitness centers are among the most attractive — and varied — at sea. Spa services are reasonably priced, and neither it nor the fitness center were ever overly crowded during my two voyages on Europa 2. Europa 2 does a good job at catering to North American and English-speaking guests. Language and culture should seldom be a problem for anyone cruising this vessel. 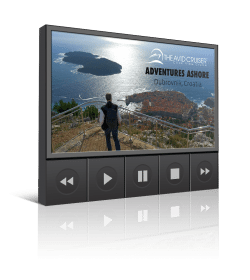 Shore excursions are handled well and reasonably priced, with plenty of variety. Internet, including WiFi, performed well and was reasonably priced at 19 euro cents per minute. Most would be hard-pressed to exceed 50 euros for internet charges, which would give you just over four hours of connectivity. Potential drawbacks for some cruises: 1) the cost of the cruise (you could do two luxury cruises for the price on one Hapag-Lloyd cruise); 2) the non-inclusion of soft drinks and bottled water in restaurants (and perhaps the non-inclusion of wine, spirits and beer as well); 3) some small pet peeves such as laundry service requiring two days, even on seven-day cruises; and 4) the European/German ambience for those who don’t mix well with other cultures. 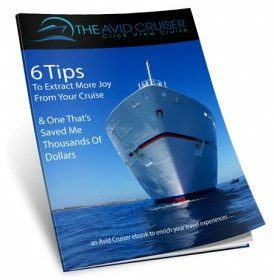 Read more in the ship reviews listed below. Want Help With Your Hapag-Lloyd Cruise? Expedition Cruising: What Does Ponant Do Differently? Micronesia: the Next Cruise Discovery? The Verdict: Is Hapag-Lloyd’s Europa The World’s Best? Is Hapag-Lloyd’s Europa The World’s Best Cruise Ship?